First shown at the prestigious Rialto in New York City in October 1916, Donald C. Thompson's seven reel feature film War As It Really Is was a self-made project. 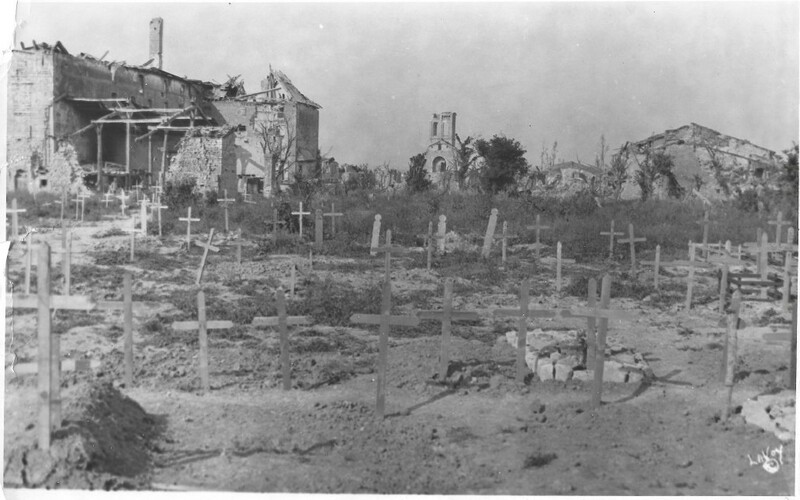 Produced and marketed by the Donald C. Thompson Company, in collaboration with Leslie's Weekly, the film showed some of the most gruesome sights of the Great War. "In the Jaws of Death"
"Much detail is clearly screened in the corpses and skeletons piled about deserted fortifications", commented a review by Motion Picture News. Starting with some remarkable aerial views of the Entente fleet at Thessaloniki, Thompson's film covered the western front from the French side. 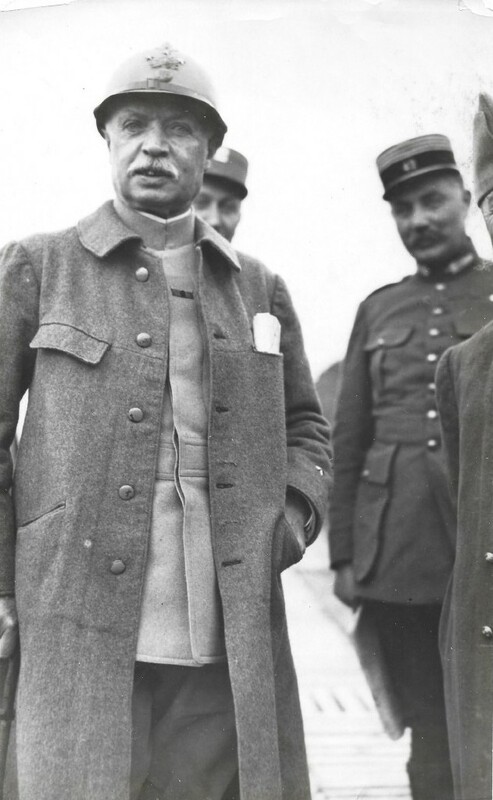 Press reports indicated he was at the Somme battlefield on July 2, 1916, when he was severely wounded by by a piece of shell. A print of the movie has survived in the U.S. Signal Corps collection of the National Archives in Washington, DC. To give an idea of the frontline footage we have uploaded scenes on YouTube from reel 7 following the intertitle "In the Jaws of Death", showing a French infantry attack on the German lines under heavy artillery fire. The film clip has been edited with a contemporary score by composer Gustav Holst from his musical suite The Planets/Mars. 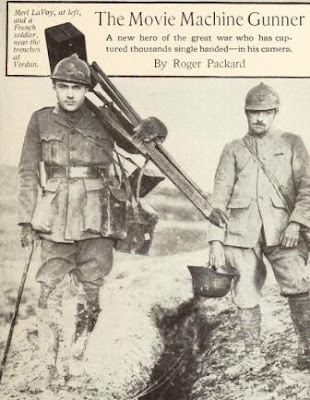 Thompson's war films have been described in more detail in our latest book American Cinematographers in the Great War. Also, here is a download link to the production file of Thompson's war movie, from the collection of the National Archives in Washington, D.C.
American cinematographer Merl laVoy featured before in this weblog. 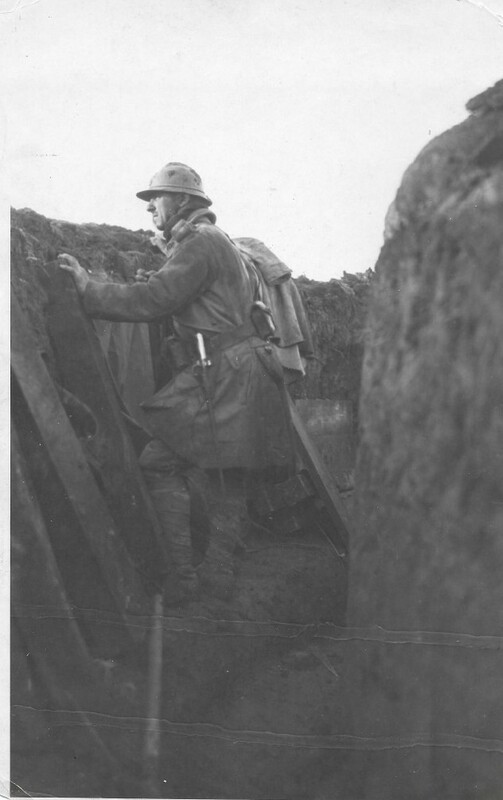 Last year we published on our discovery of footage from his first film, Heroic France (1917). Apart from this World War I film, a series of still photographs taken by LaVoy for this same assignment has also been retrieved. Author Cooper C. Graham located these pictures online. Most of the photographs have a copyright reference to LaVoy and bear a close match to the film scenes shot by LaVoy for his movie Heroic France. The LaVoy pictures from this period are also interesting because these were shot on a camera with an unusual frame size. In inches, it comes out to 7 inches by 11 inches, a ratio of almost two to one, which means that the pictures look elongated horizontally or vertically. Here are LaVoy's World War I pictures from France with the original captions, as written on the backside of the prints. Ever since films were first made war scenes have been staged before the movie camera. The expert in this field is no doubt film historian Stephen Bottomore. In his doctoral thesis Filming, faking and propaganda: The origins of the war film, 1897-1902, Bottomore presented the first detailed treatment of war and early cinema, describing the representation of conflicts in film from the Greco-Turkish War of 1897 through the Spanish-American War, Boer War, and others up to about 1902. Bottomore clearly demonstrated that in attempting to cover these events, early filmmakers faced a difficult task, for warfare at the end of the 19th century was changing, relying more on defence and concealment and less on highly visible offensives; there was also increasing regulation and censorship of reporting. With the new tactics making battle less visible, and with increasing official controls, how could wars be represented on film? Surprisingly, in just half a decade, filmmakers found ways to cope, by developing new 'genres' of films such as acted fakes, and new exhibition strategies, and in these ways managed to present wars to the public of the time fairly effectively. 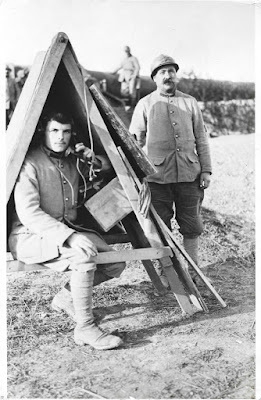 Trench warfare in World War I didn't make for very exciting action scenes. With their bulky cameras and heavy tripods, and with no zoom lenses available to get closer to the actual scene, camera operators frequently decided to stage events. 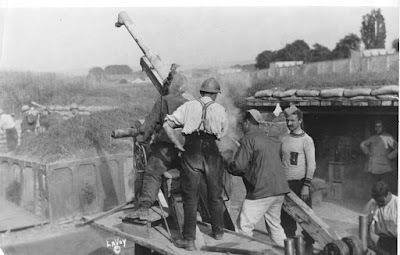 The classic scene from The Battle of the Somme (1916) - showing British soldiers going over the top - was filmed at a trench mortar school well behind the firing lines. By comparing film scenes with still photographs and press reports, we discovered American cinematographers sometimes used the same techniques. On the other hand, the reasons for staging war scenes were complex. Since cinematographers such as Durborough and Dawson had great difficulty in getting to the front and then getting their actual combat footage past the censors, does this partially excuse their behaviour? As Signal Corps cameraman Joe Hubbel said: "Our idea was to make up propaganda films to show what we were doing. 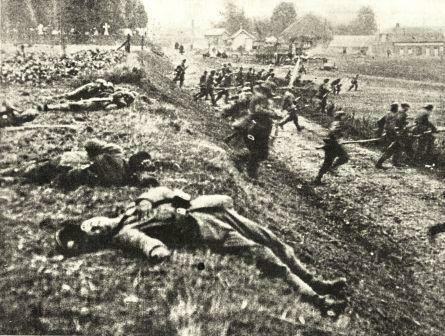 On one occasion they had hospital trains near us that could run up to the front and bring back the wounded. We took a company of men, bandaged them up and laid them in the sun on stretchers and loaded the train. I was brought up on charges that I was faking it. Well, that wasn't a good word. I was representing an occasion that you wouldn't take the chance with a lot of wounded men. And it looked the same." This raises the question and it is a significant one: when is a re-enactment justified? The question is especially important when the documentary filmmaker is making a work that is designed to persuade the viewer to fight and die for a cause. 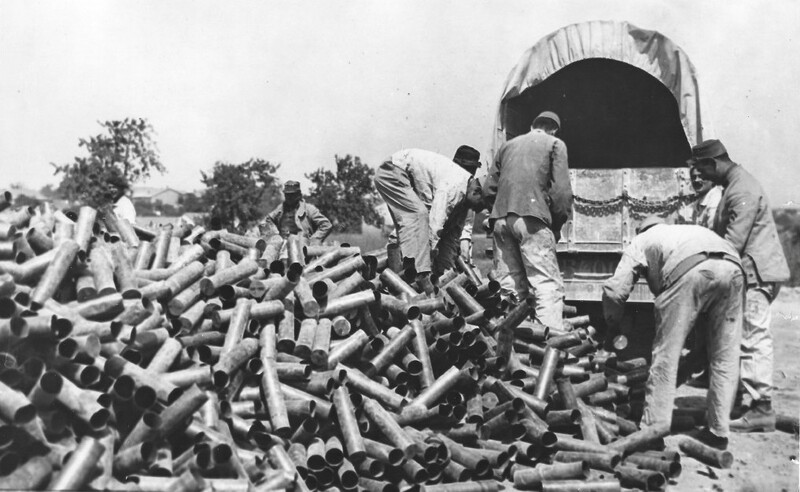 The website Smithsonian.com has more on the early history of faking war films.